ICANN today announced that it has received a letter from the Article 29 Working Party (WP29) [PDF, 400 KB] that provides guidance on the European Union’s General Data Protection Regulation (GDPR) and its impact on the collection, retention and publication of domain name registration data and the WHOIS system. ICANN organization’s response to the letter from the Article 29 Working Party will be published shortly here. A moratorium on enforcement action by DPAs would potentially allow for the introduction of an agreed-upon accreditation model and for the registries and registrars to implement the accreditation model in conjunction with the measures in the agreed final interim compliance model. 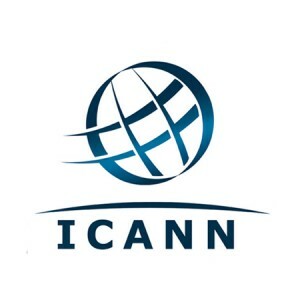 It will also allow for reconciliation between the advice ICANN has received from its Governmental Advisory Committee (GAC) and the Article 29 Working Party. Unless there is a moratorium, we may no longer be able to give instructions to the contracted parties through our agreements to maintain WHOIS. Without resolution of these issues, the WHOIS system will become fragmented until the interim compliance model and the accreditation model are implemented. A fragmented WHOIS would no longer employ a common framework for generic top-level domain (gTLD) registration directory services. Registries and registrars would likely implement varying levels of access to data depending on their interpretations of the law. Make it significantly harder to identify fake news and impact the ability to take action against bad actors. These are just a few examples from a long list of potentially adverse scenarios. Marby also requested that the DPAs include ICANN in any proceedings relating to WHOIS, and asks that it be included in all discussions and actions of the privacy regulators with the other WHOIS data controllers. He also said that ICANN org is continuing its efforts to prepare for implementation of a new model. Additional information on ICANN’s data protection/privacy activities, including legal analyses, proposed compliance models, and community feedback is published here. We encourage the community to provide feedback and continue our dialogues on future activities. You may share your views with us via email at gdpr@icann.org. ICANN’s mission is to help ensure a stable, secure and unified global Internet. To reach another person on the Internet, you need to type an address – a name or a number – into your computer or other device. That address must be unique so computers know where to find each other. ICANN helps coordinate and support these unique identifiers across the world. ICANN was formed in 1998 as a not-for-profit public-benefit corporation with a community of participants from all over the world.